This entry was posted in Uncategorized on May 19, 2017 by McDillPondPresident. McDill Inland Lake Protection and Rehabilitation District at its annual meeting passed a Resident Fertilizer Restriction that goes into effect immediately for its 176 residents. The general fertilizer restriction replaces the lake district’s former phosphate free fertilizer restriction since all fertilizers now sold in Wisconsin are phosphate free. The restriction limits residents to twice a year fertilizing their yards, unless a soil test proves the need for additional fertilizing. There is no limit on the amount of application of weed killers or other pesticides for nuisance control. 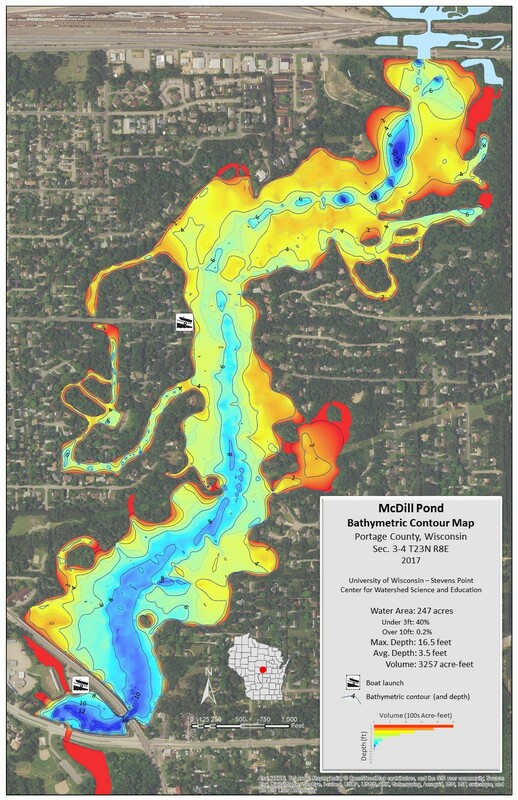 A water study conducted by the WI DNR over two years found high amounts of nitrogen entering McDill during the winter months from groundwater and spring runoff. Due to the sandier soils around McDill, it is an important first step to control the amount of nitrogen entering McDill starting with the yards that have the greatest impact on McDill Pond. The restriction is to be self regulating, and currently does not have any fines for violations of the restriction. McDill Pond is also participating in efforts to promote healthy shorelands and work with local municipalities to address the high nitrogen levels entering McDill pond from various sources to mitigate the excess weed and algae growth in McDill Pond. A copy of the restriction is below for reference. This entry was posted in Uncategorized on October 21, 2015 by McDillPondPresident.